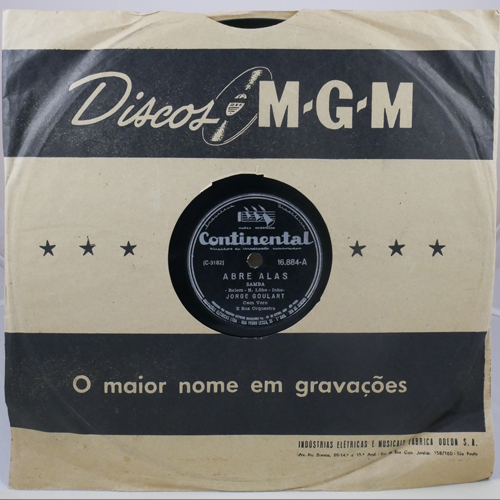 150 Brazilian? 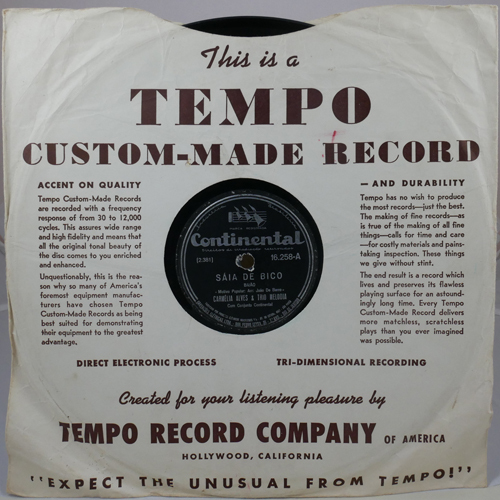 Um… how many zero’s is that? 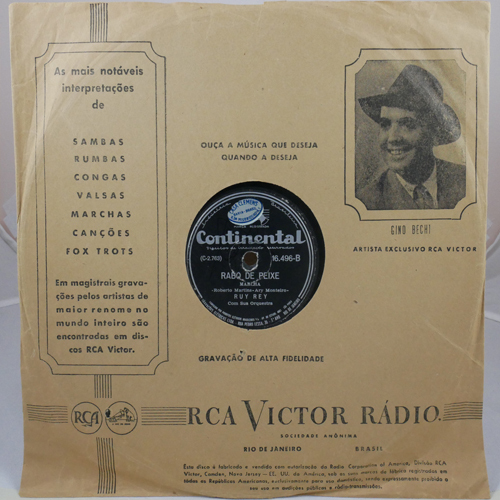 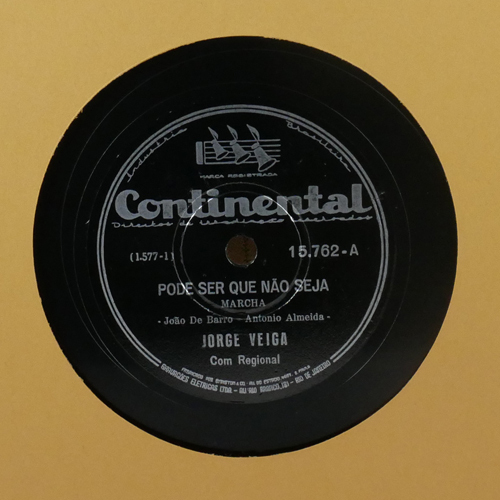 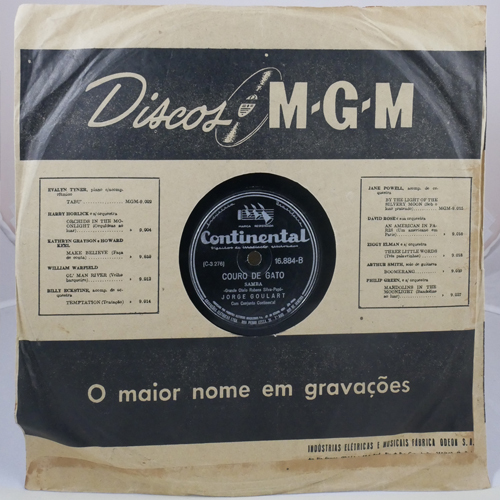 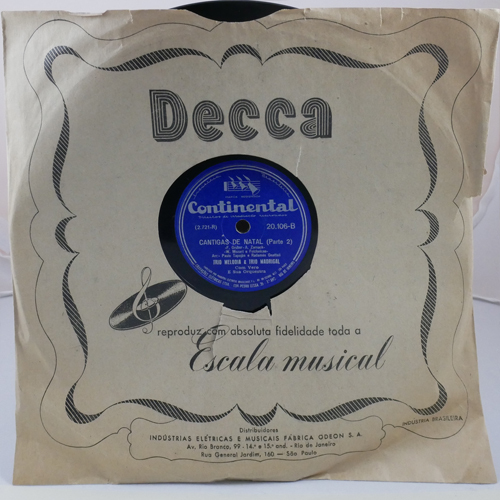 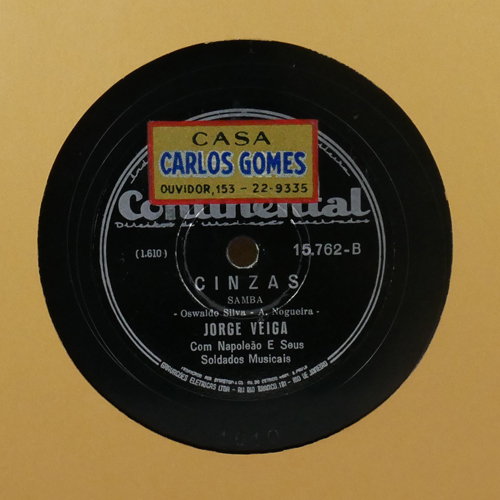 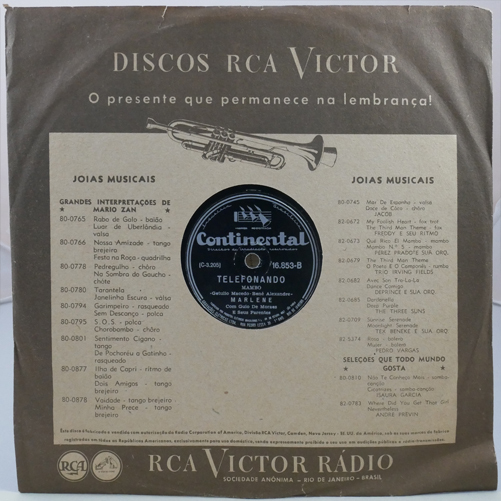 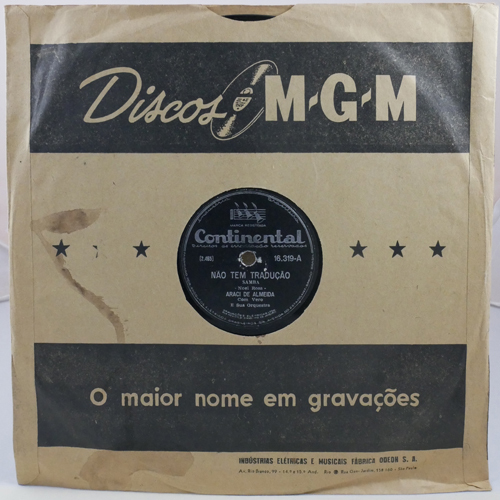 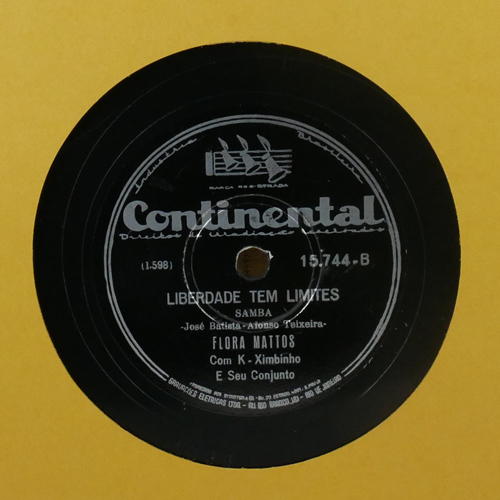 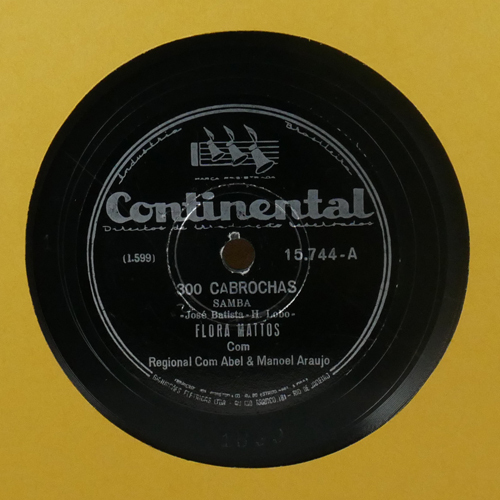 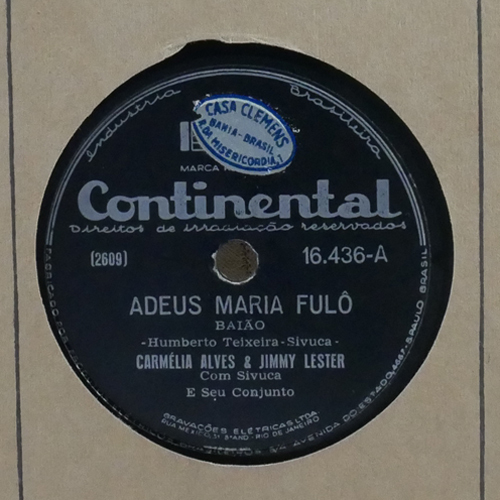 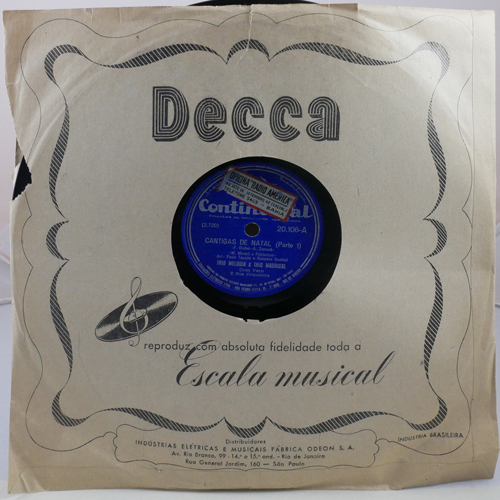 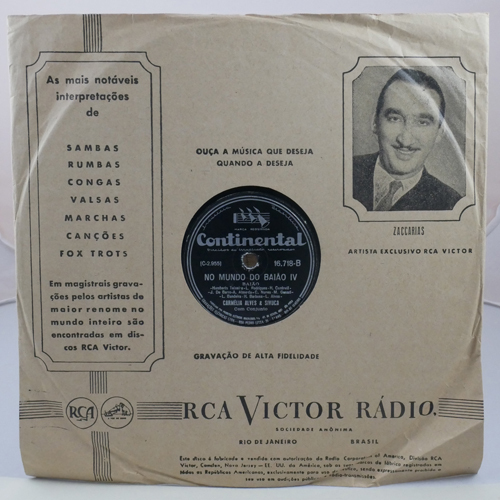 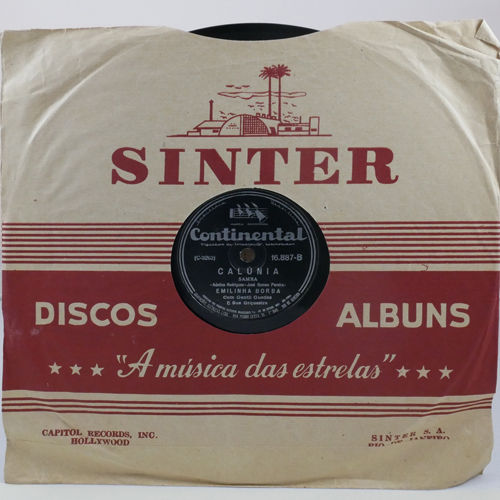 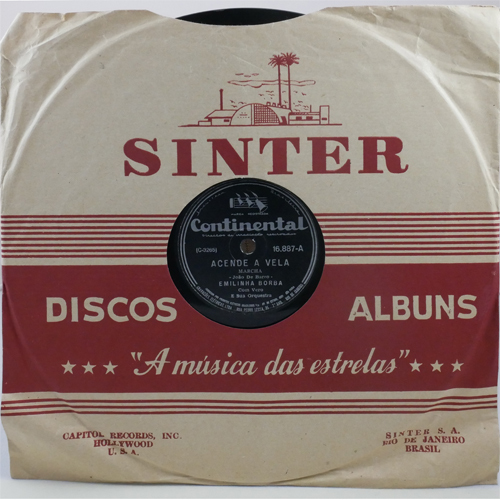 One of my favorite sub-collections in my collection of 150+, 78 RPM records from Brazil. 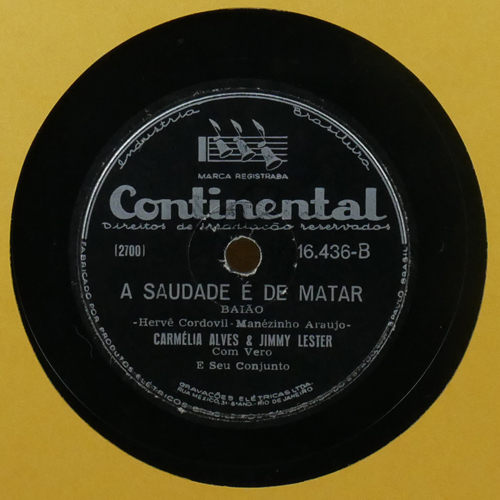 That link will explain it a little. 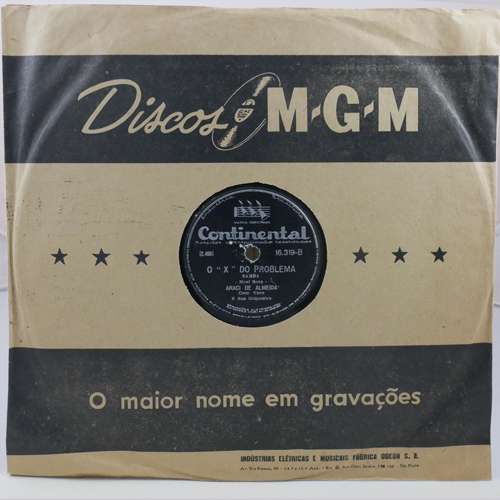 This is a group of records I’ve wanted to archive since I got them, but you know, this and that and time passes on. 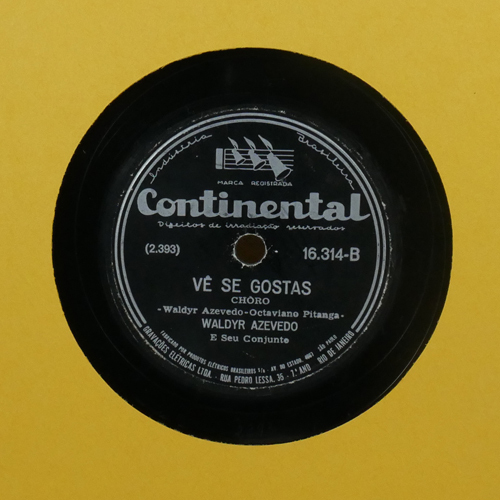 I’m happy to start this project finally and will be working label by label. 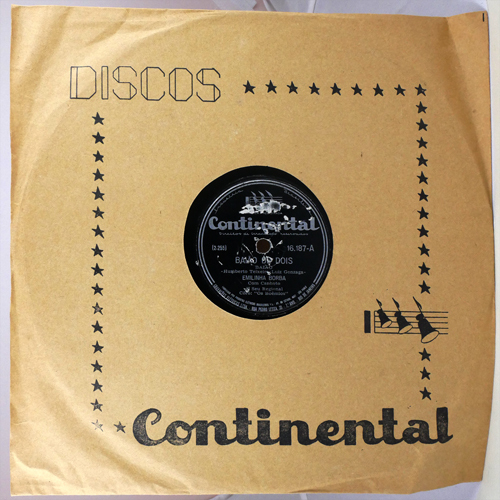 Which seems obvious now… I’ll be working in alphabetical order, starting with the 18 Continental Records, and featuring pictures of the records and sleeves. 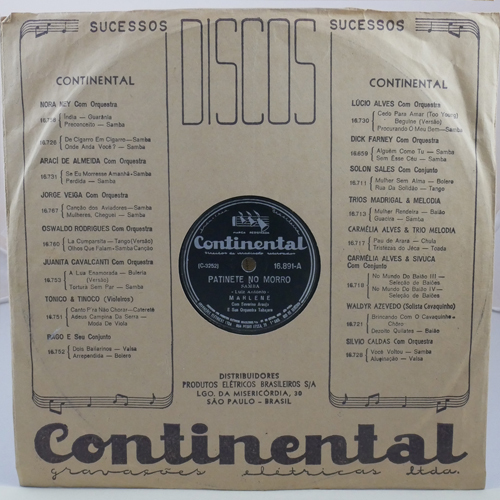 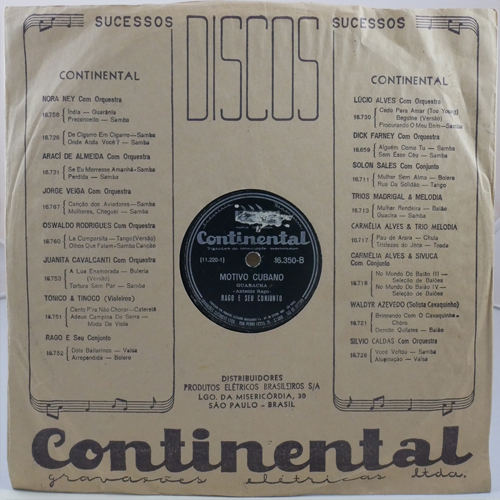 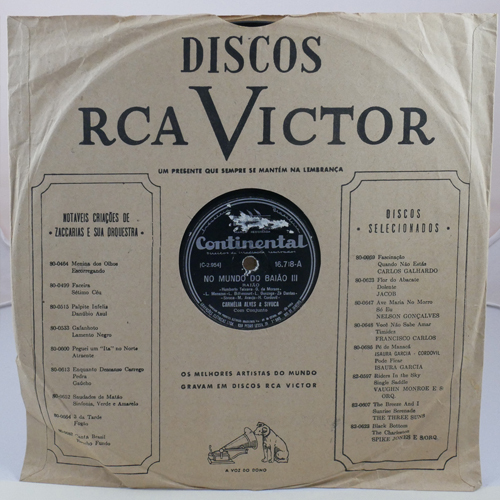 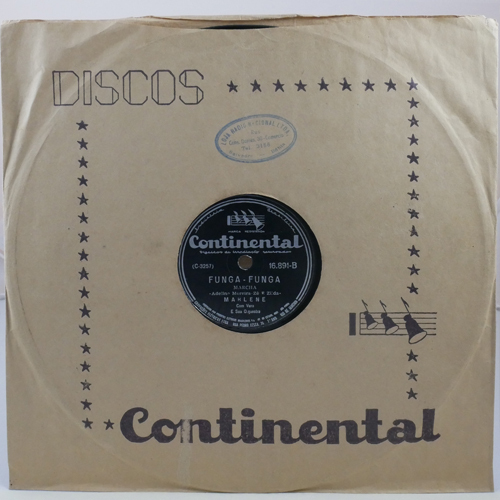 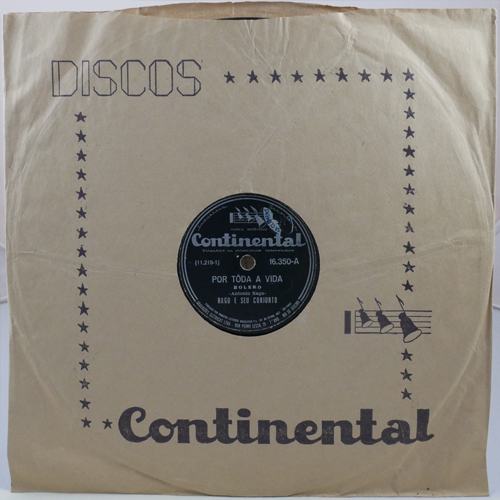 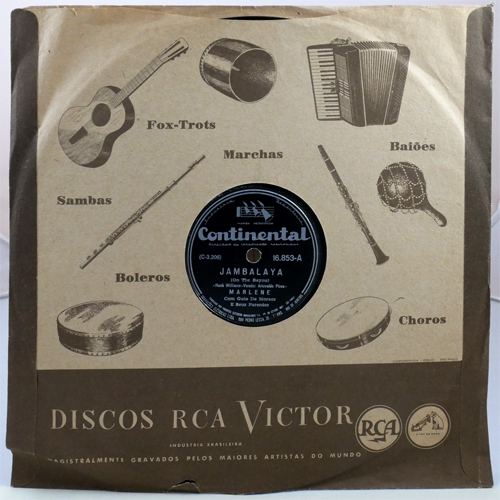 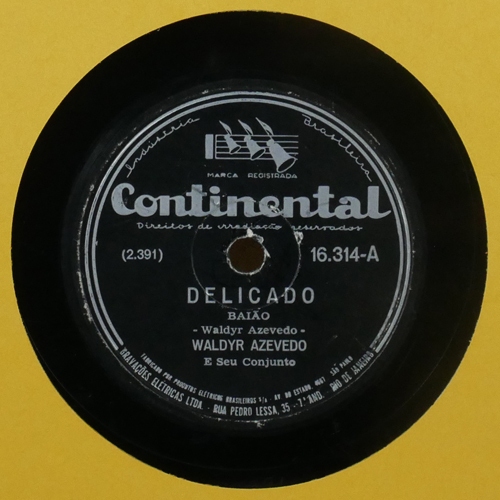 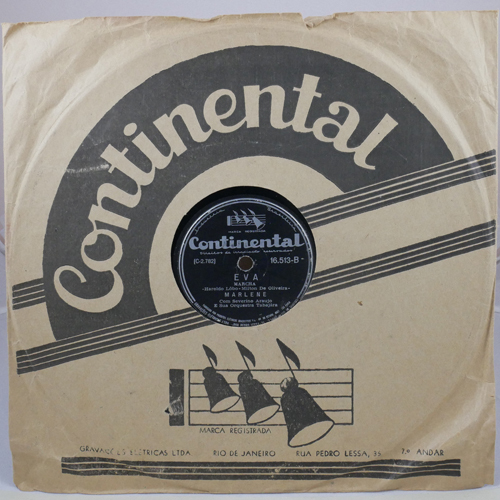 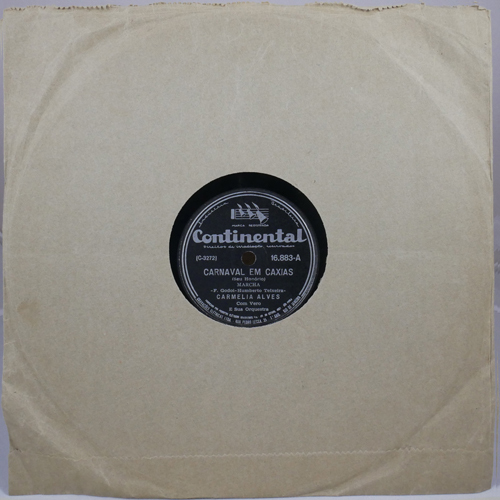 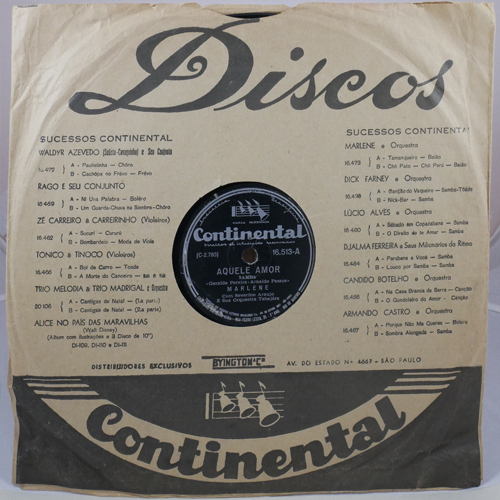 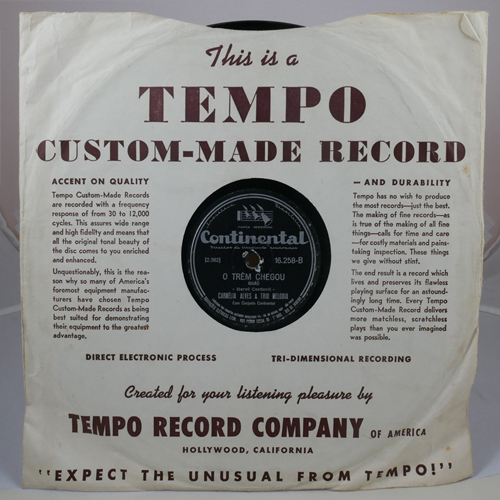 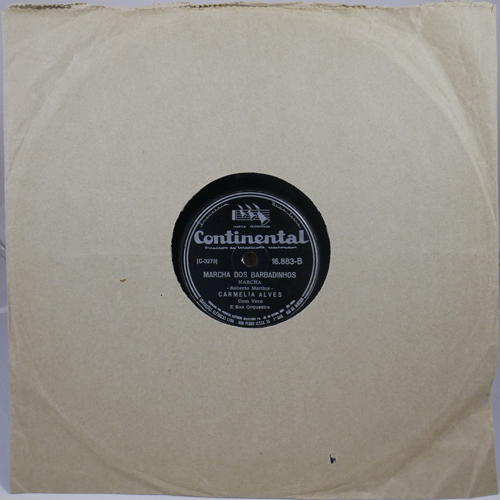 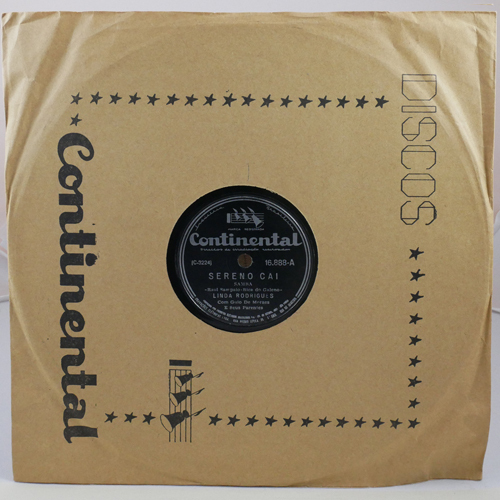 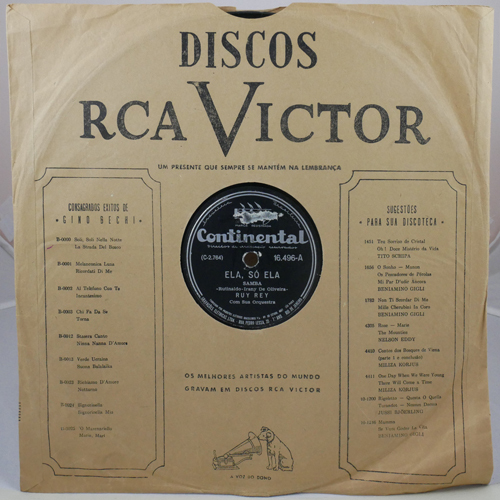 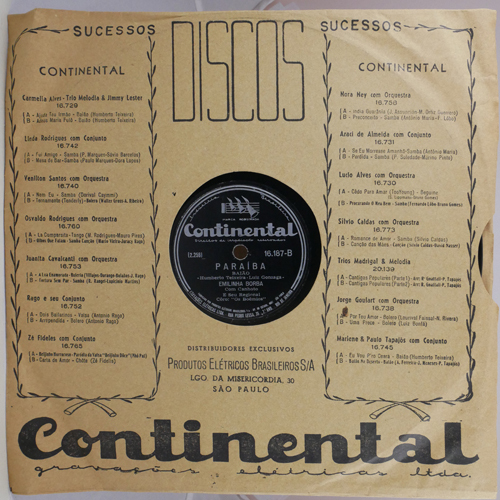 In this group, 14 of the 18 Continental records came in original or period paper sleeves. 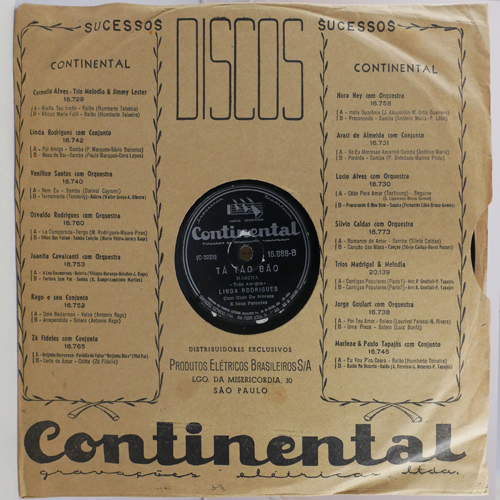 It’s good work if you can get it!